Amid the area’s brutal cold spells, workers have been pressing ahead with construction of the Silver Line extension to Dulles Airport. The frigid weather, though, is having an impact on the project. 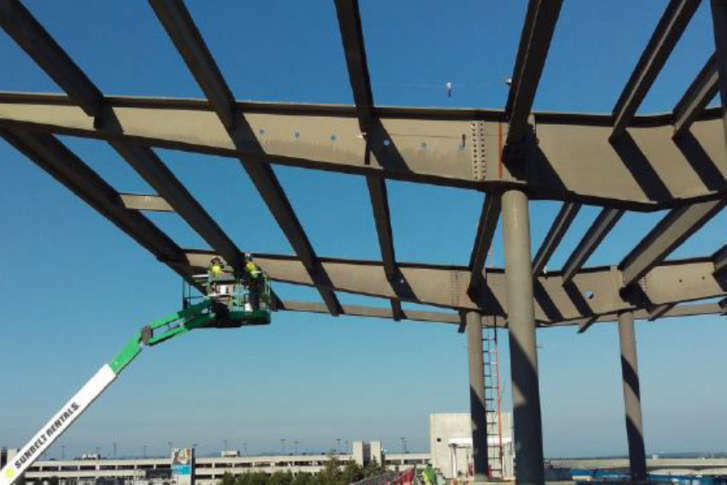 ARLINGTON, Va. — Amid the area’s brutal cold spells, workers have been pressing ahead with construction of the Silver Line extension to Dulles International Airport. The frigid weather, though, is having an impact on the project. “The weather is slowing us down,” said Keith Couch of Capital Rail Constructors, the project’s main contractor. He told a Metropolitan Washington Airports Authority committee that things like pouring concrete were not possible in the cold temperatures. The rail extension into Loudoun County is being built by the airports authority and will be transferred over to Metro when completed. Couch told the authority’s board members that the weather and some changes to the project will not affect its timeline, although workers may soon have to pick up the pace. Board member Katherine Hanley pressed Couch about the timeline but later said she was satisfied with his answers. “I think it’s always good for a project to know that there are people interested in being sure it gets done on time,” she said after the meeting. Board members were told the project is 76 percent complete. The hope is for the extension to be open to riders by 2020.